Just exploring. I visited London again. Very active community. I like it there. Could live there but of course lots of visitors is = lag. I think I stay in my house. Outfit was cool. Burn 2016. Looks smaller somehow. I visit Burn every year and takes a ride. This year it was the carousel. I get the feeling it is smaller. Usually takes me some time to walk around it all. Lots of stages but no one on them. Is SL really shrinking? Makes me a little bit sad. But you can visit Burn anyway. The theme is Leonardo da Vinci. Do not know why?? Read more: The importance of reducing lag. I just love the graphics in this game. Everything just looks so good. I do a lot of driving and it is a pleasure. Read more: I just love the graphics in this game. Now we make everything in Virtual worlds Oculus rift compatible. The new Second life viewer shows much promise so now we size everything for the Oculus. I think this is the future of virtual reality. Read more: Now we make everything in Virtual worlds Oculus rift compatible. New Oculus Rift project viewer for Second life. It rocks. 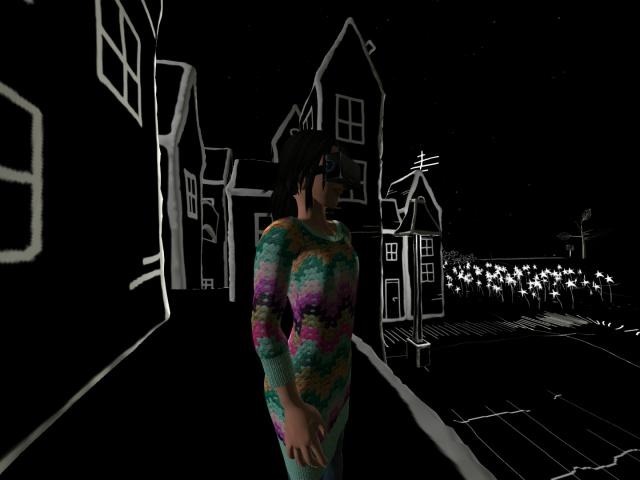 Read more: New Oculus Rift project viewer for Second life. It rocks. Spending time in the Oculus Rift world. Many things tested. Read more: Spending time in the Oculus Rift world. Many things tested. At Burn 2. Another thing about Second life I like. I like to go to these exhibitions. Meeting some nice people on the way. Today I met Skip, a programmer. I like meeting people. Read more: At Burn 2. Another thing about Second life I like. 2worlds2go in Second life starts to come together. Read more: 2worlds2go in Second life starts to come together. 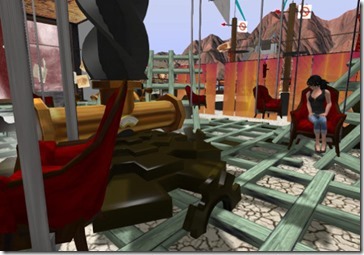 Read more: Being a hypergrid explorer. Linux the way forward for gaming. Read more: Linux the way forward for gaming. Airport almost ready and Portal to Ghost town up in Lendonia. I have had some problems converting some old .x files to useful graphics but finally Sunday evening I got some luck. So the airport is almost ready. Read more: Airport almost ready and Portal to Ghost town up in Lendonia. My airport is growing nicely. Today I have put in lights and runway signs. And the main entrance hall and arrival area looks good. A hangar and some other buildings. Read more: My airport is growing nicely. Lendonia in the Woods looking up on the mountain. The work continues. Put out some trees and ground cover. Now I see how big this area really are. Read more: Lendonia in the Woods looking up on the mountain. A new railroad on the Devgrid Island. Read more: A new railroad on the Devgrid Island. Checking out Munchen and bought this very nice German dress. It is Octoberfest. You have to go places. You have to go places., a photo by SL explorer on Flickr. Read more: You have to go places. New place to visit, a photo by SL explorer on Flickr. I have been walking around Burn2 for a few hours. It is smaller today but there are still a lot to see. I always get totally blown away from the things people create. Second life more more viewer errors and bad service. 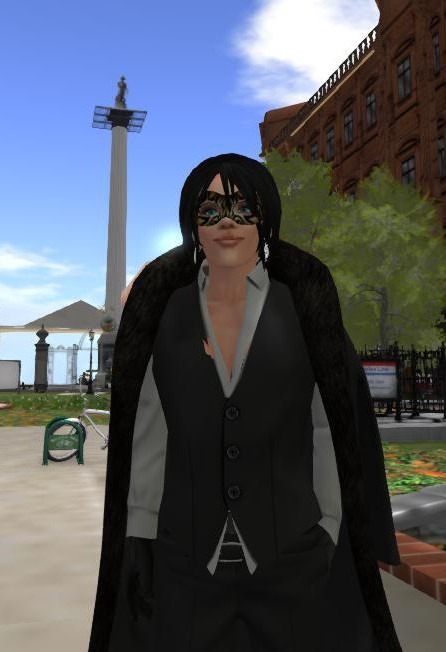 Read more: Second life more more viewer errors and bad service. Servers going out of Beta today. Read more: Servers going out of Beta today. To tired to do anything more than change my looks in There. My new cool look in There world. I am a nice cartoon. I suppose i have to get out more. Haha. Read more: To tired to do anything more than change my looks in There. And i found this very cool bag. Read more: And i found this very cool bag. Read more: Its Burning life again. A lot of things happened this week. And this is evening at the Opensim island. 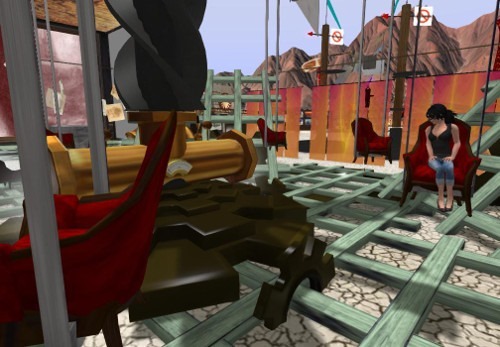 The very very empty island 2worlds2go is up on the OSgrid. Sorry but today there will be some serious downtime on the servers. Read more: Sorry but today there will be some serious downtime on the servers. Visiting my brother nation Denmark. Read more: Visiting my brother nation Denmark. The sign shop. Read the sign in Second life. Or just buy a ready made. Its up. Now I just have to write the website connection. Read more: The sign shop. Read the sign in Second life. And it tells time to. Read more: And it tells time to. My first Halloween party this weekend. Everybody of course knows that it’s a lot of partying going on in Second life this weekend. I have already been to the first one. I think I am going to squeeze a few more in. I hope. Read more: My first Halloween party this weekend. Art space Magazine’s new office in Nilsart Village. So finally a new place for Art space Magazine now I just have to get the new issue out to. Read more: Art space Magazine’s new office in Nilsart Village. I just had to buy a new skin. I really needed something that looked like summer and sun. Because it’s raining like he.. All day. Nice to work in Second life where the weather is fine all the time. Read more: I just had to buy a new skin. Read more: Nilsart village coming along. Read more: Autumn its dark again.